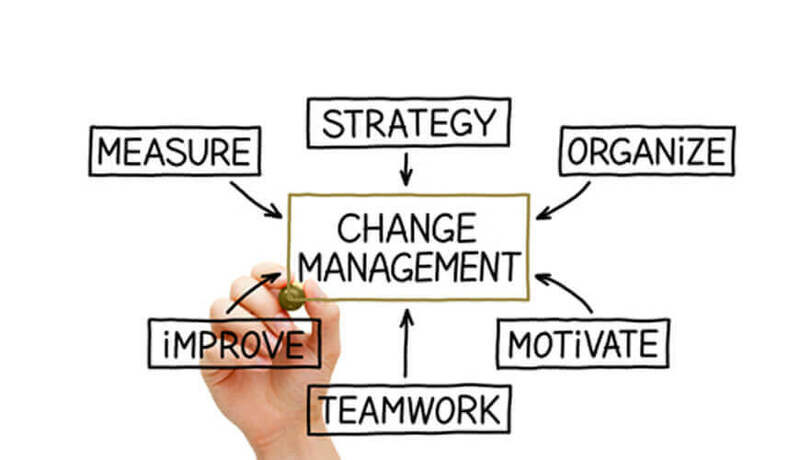 Planned and systematicChange management plays a very important role in any organization since the task of managing change is not easy. Research has shown that projects and initiatives with effective Change Management are more than 5 times likely to meet or exceed project objectives. Change management increases the success by applying a structured framework of methods, tools and processes managing the change from a current state to a future state. Regardless of the scale or the scope of change, applying Proper Change Management framework ensures staying on schedule and budget, resulting in higher benefit realization and ROI. Once a change initiative has been identified, the Executive must be clear on the key role he/she will take on as the Sponsor. The Sponsor must understand the impact he/she will have on the success of the change and that these important responsibilities cannot be delegated. Research also shows that, “100% of all changes evaluated as Successful had a good solution or approach” and “Over 98% of all changes evaluated as unsuccessful had a good solution or approach”. So what is the difference between success and failure? The answer is “Acceptance”. Resistance from employees is one of the major reasons that change initiatives in most businesses fail. Reasons behind this resistance include fears of job lay-offs, increased workload, contentment with the status quo and poor understanding of the need for change and most importantly the uncertainty the future holds. Business owners should effectively manage the change process to counter this resistance.